This colored tote is made from 50 percent recycled paper and comes in two different shades. 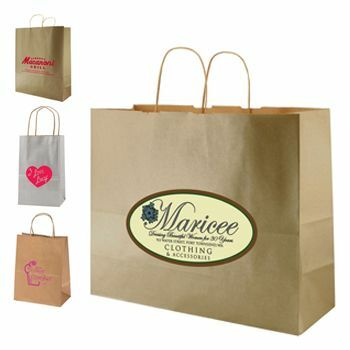 It is a sturdy tote that will highlight your unique brand's image and is both stylish and eco-friendly. 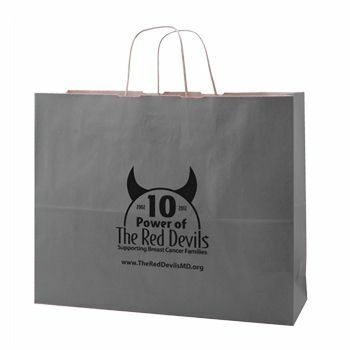 5.25 X 3.25 X 8.5"
This versatile paper tote will remind your customers that you care about the environment and about producing a quality product. Sturdy twisted paper handles match the bag's main color. 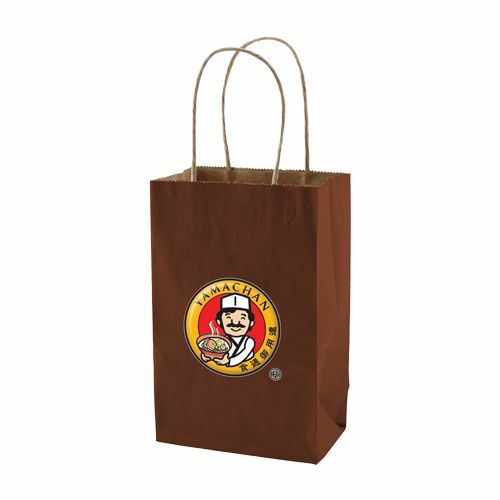 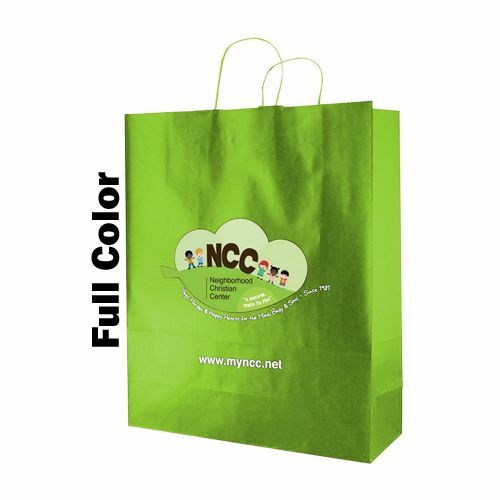 Each bag is customizable with your company's logo or an image of your choice. 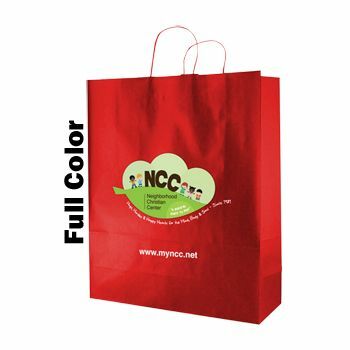 You can choose to imprint with a hot foil stamp or ink. 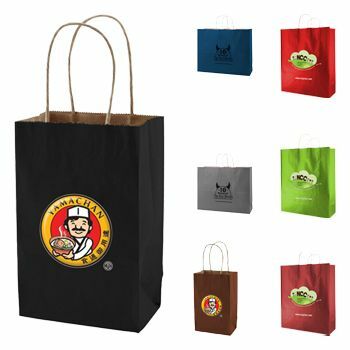 On-time production is guaranteed, and rush production is available. Place your order today.